Home Unlabelled The allegations towards Fastjet….who/what is right? The allegations towards Fastjet….who/what is right? Since the beginning of this year we have observed a series of reports from the media regarding the Fastjet – fly 540 saga. 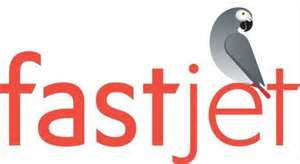 The series of allegations on fastjet intensified over the past three weeks, overwhelming the media and rising concerns from the public and the travelling community. However fastjet kept on denying all these allegations while blaming the media for publishing what Fastjet calls “inaccurate media reports”. The latest report regarding allegations on Fastjet came out in news papers yesterday with the title “FastJet owes TAA over 570m/- in service fees”. See it here dailynews. As usual fastjet through its website refutes the report calling it an inaccurate article. On its website fastjet says “fastjet are dismayed that once again an inaccurate article has been published in the Media today. The historic debts that the article refers to were, we believe, primarily incurred by the Fly540 operation in Kenya run by Mr Don Smith. Aviation Tanzania believes that with all these reports on the media, something must be wrong somewhere. We are still looking for who/what’s right in this saga.